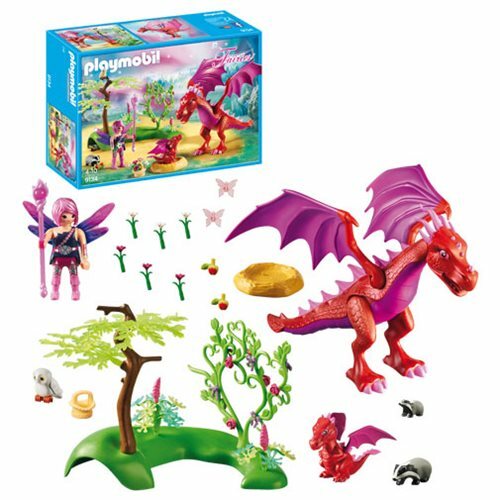 Have fun with the Playmobil 9134 Friendly Dragon with Baby! The fairy can ride on the fully mobile Friendly Dragon. The badger has a hiding place in the small cave. Ages 4 and up.